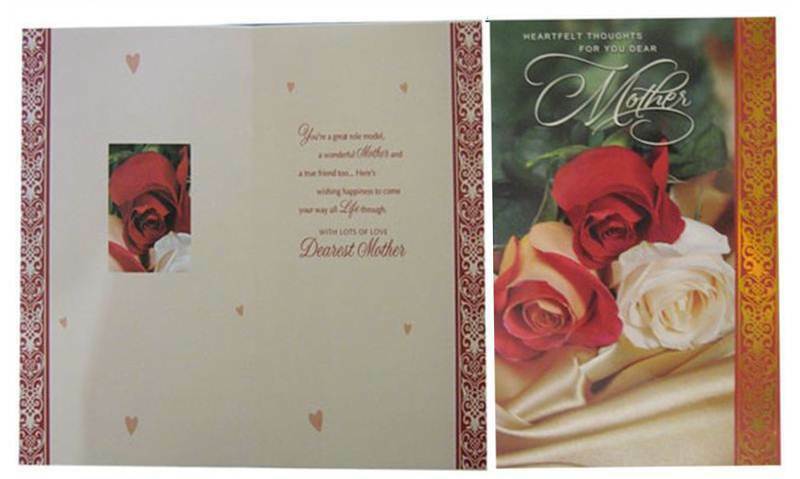 Front Message : Heartfelt thoughts for you dear mother. Inside Message : You’re a great role model, a wonderful mother and a true friend too….here’s wishing happiness to come your way all life through. With lots of love, Dearest Mother.